The biggest, most important and most expensive move the Vikings made this offseason came with the three-year, fully guaranteed $84 million deal they gave QB Kirk Cousins. At the same time those negotiations were ramping up, though, the Vikings also made another low-key acquisition that could prove to be vital. In a deal last week, they sent a fifth-round pick to the Broncos in exchange for quarterback Trevor Siemian and a seventh-round pick. Siemian, also formerly a seventh-round pick himself, started 24 games for Denver over the last two seasons. Given that the Vikings have had to go to Plan B at quarterback quickly each of the last two years, having a capable backup is important. The fact that Siemian is relatively cheap and young adds to the nice fit. *Siemian was called into head coach Vance Joseph’s office at the end of October and was told the Broncos were benching him in favor of Brock Osweiler. “I knew from that point on,,” he told SI.com, “that it would probably be unlikely that I would be the guy here.” Near the end of the season, McCartney advised Siemian that trying to orchestrate a trade might be in the QB’s best interests. 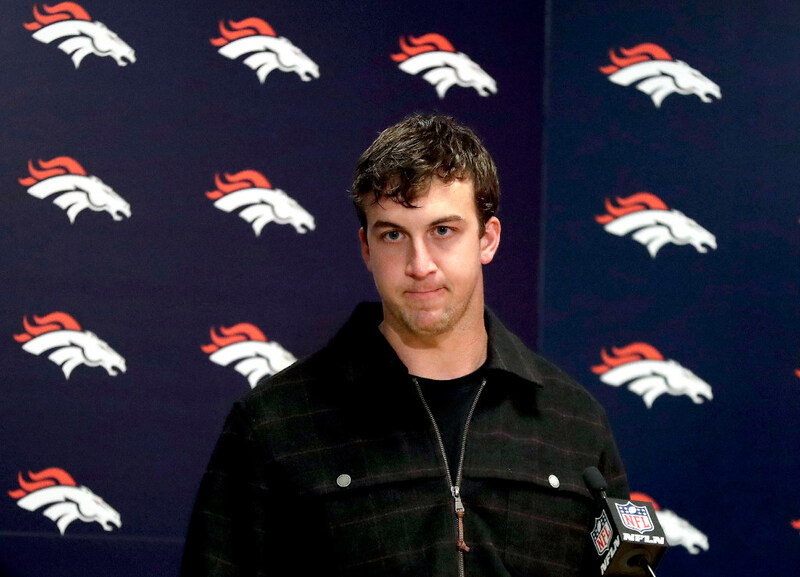 Watching Keenum play gave Siemian hope that he could resurrect his career. Interestingly enough, Siemian wound up in the same role Keenum had last season, as the Vikings’ low-cost backup. And the team he left is the place where Keenum is now the starter. *In early March at the Scouting Combine, McCartney mentioned to some friends who work with the Vikings that they might want to scout Siemian — hinting that he could become available. That perhaps laid the groundwork for what was to come. "I'm pumped," Siemian says. "I don't think I could have gone to a better place." He can't wait to tell Podkopacz the news. She grew up a Vikings fan in a Minneapolis suburb and had brought Siemian, a Florida native, back home to Minnesota many times. She can't believe they'll be moving to the Twin Cities. Is Twins outfielder Max Kepler primed for a 'breakout season'?